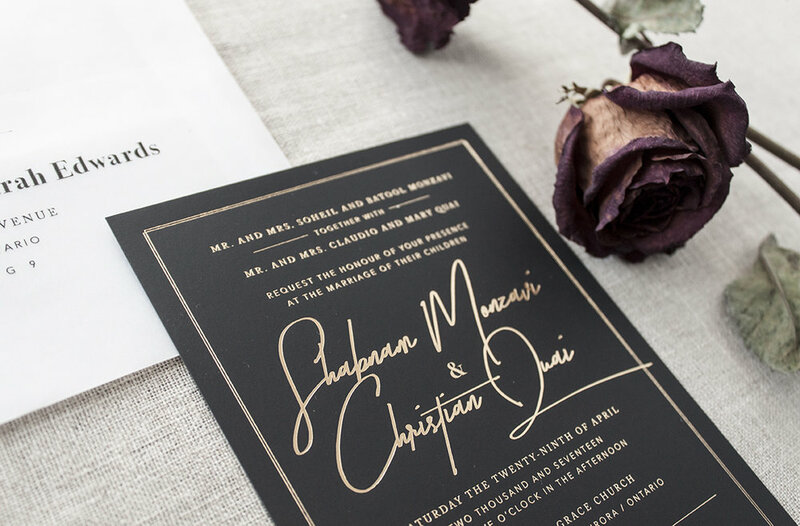 There's nothing better than a client who has confident style, an ambitious vision, and trusts you wholeheartedly. 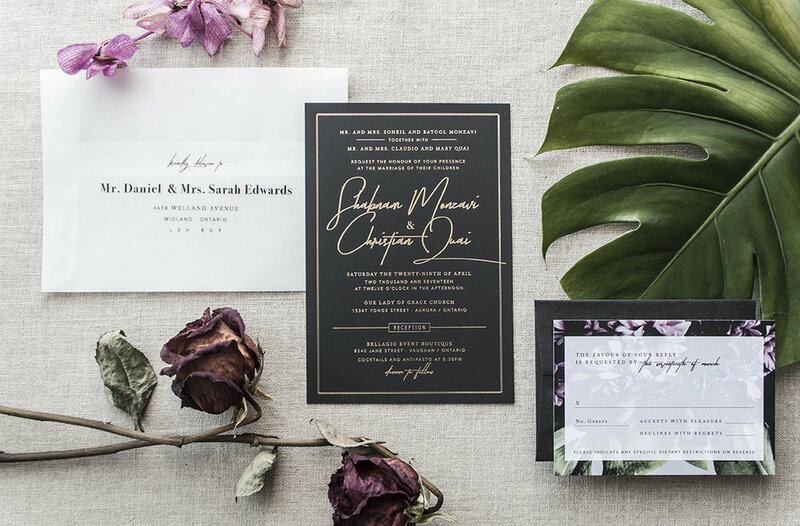 In this case, I had the best time combining touches of gold (who doesn't drool over gold foil), mixed textures (that black suede paper is only really appreciated in hand) and floral hints. 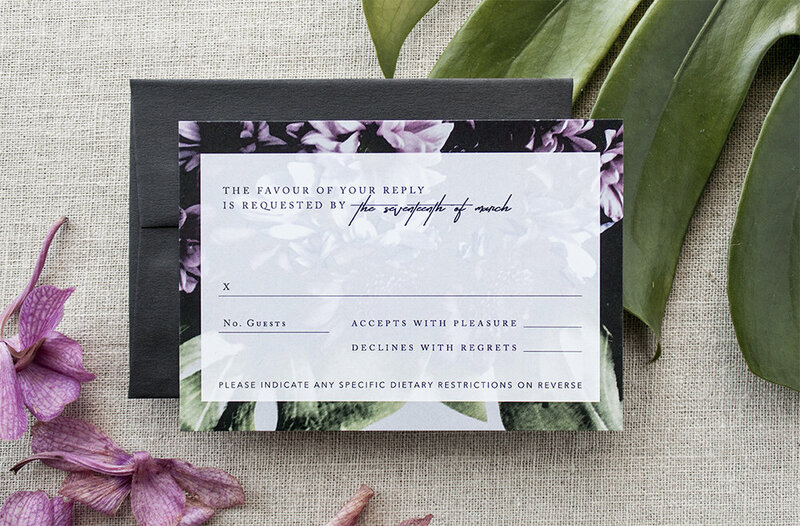 Speaking of hints, I'm obsessed with these vellum envelopes that give the guests a sneak peek at what's inside (note: it's not a bill to pay! ).